If you're looking for a nice 'lip tint/lip balm' like product that doesn't not only stays on long but also have a great lip care benefit, you might want to consider one of Shizen's star product which is the Shizens Lip Tattoo. I've actually make a short post on this product not long ago when I won the RM200 Shizens voucher which you could read HERE. But since I received another full sized product from the amazing Butterfly Project Beauty Box (thank you! ), I guess it is time for a more in depth review. The Shizens Lip Tattoo comes inside a very simple gold packaging box which I really like. The product itself is stored inside a clear container and the liquid inside is in a milky white colour. In overall, the product screams elegance which usually the case for Shizens brand. The applicator tip is a soft bristle material and it's easy to apply the product with it. As I mentioned above, the product has a milky white colour and the texture is also a milky instead of a clear lightweight product. The liquid is not runny enough to spill on your fingers when you use it. It had the right amount of product on the applicator tip so even with one application you could see the difference. This product helps to spread moisture on your lips, so get ready to say goodbye to unattractive chappy lips! The formulation helps to reduce the formation of fine lines as well as to lighten dark pigmented lips. So no more dull dark lips for you! 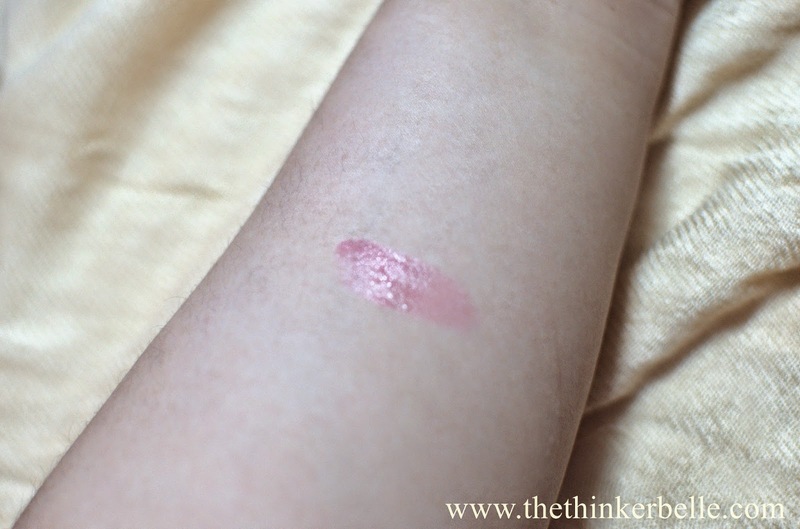 As you can see, the application of the product turns my lips into a natural pinkish rosy tone. 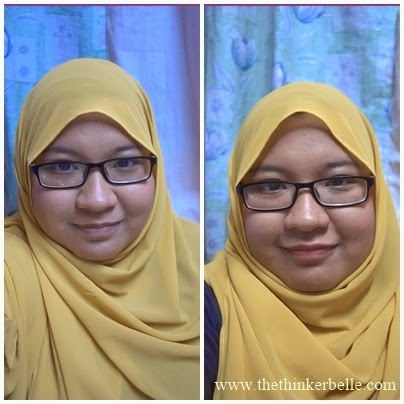 I really like it because just with one application you can go for a simple 'no makeup' makeup look . Since I've been using this product for quite awhile, I could say that it lasted long enough on my lips. I've got to say, I really have nothing bad to say about this product. The only downside is probably price wise. 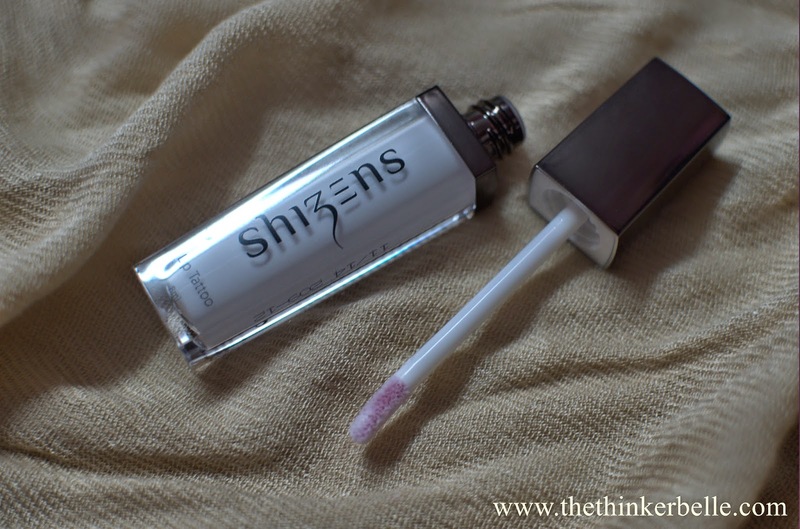 The Shizens Lip Tattoo may be considered as a high end product based on it's price. Some may find it a tad to overpriced and might be thinking if it's worth the money. My two cents is if you want to try on a high end lip product, you might want to take this one into consideration. I'm lucky enough to have two now so it is safe to say that I have an extra backup in my stash once I ran out the one I'm currently using! So Yayy! to be honest, i'd think a thousand time before i purchase.